Looking for a comprehensive list of ICSE Schools in Panvel, Mumbai? There are a number of ICSE schools in Mumbai located in different areas. Our objective here is to bring you the most comprehensive, updated and a complete list of ICSE Schools in Panvel, Mumbai. Our list provides detailed information like address, e-mail ID, telephone number, website etc. Most of the ICSE Schools in Mumbai are English Medium public schools. These schools offer Hindi and other languages as second language. Some of the ICSE schools listed below provide day-boarding and boarding facilities. ICSE Schools follow curriculum of Council for the Indian School Certificate Examinations (CISCE), New Delhi. 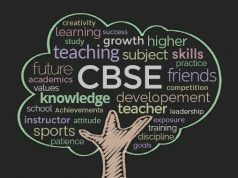 The ICSE Schools in Mumbai conduct the Indian Certificate of Secondary Education examination at the end of Standard X and the Indian School Certificate examination at the end of standard XII.